Investing in pink diamonds may be one of the shrewdest investments you may make. 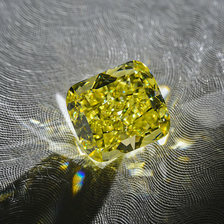 Natural fancy color diamonds are the crème de la crème of the jewelry world, with each color exhibiting its own unique qualities and attributes. A large percentage of pink diamonds emanate from the rapidly depleting Argyle mine in Western Australia. Furthermore, Pink diamonds are one of the most popular colors, with the highest market demand of the colored diamond family immediately following yellow. Meaning, with regards to supply and demand they are exactly where they need to be! Their popularity among celebrities, royalty, and the general public ensures there will continue to be a strong demand for these stones. READY TO INVEST OR WANT TO HEAR MORE? 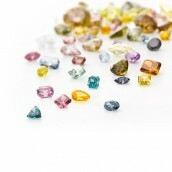 CONTACT US TODAY TO LEARN ABOUT THE FANCY COLORED DIAMOND OPPORTUNITY. 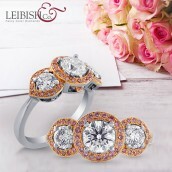 Above are the 6 stones Leibish & Co. won from the 2011 Argyle Pink Diamond Tender. Fancy color diamonds are not the most popular investment options, yet they exhibit investment characteristics that many other investments can only dream about emulating. They are easily transportable and are an unregistered asset class; they are a durable, easy to conceal, an internationally recognized commodity that are not subject to cartel control and have well established valuation methods. From a pure return perspective, they have exhibited impressive long-term price growth, with very low price fluctuation. 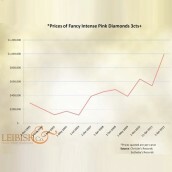 There is a vibrant auction market for fancy pink diamonds with prices showing long-term appreciation and stability. Even during the Great Financial Crisis of 2008, prices for pink diamonds fell by less than other asset classes as many looked for tangible items to secure their funds. The auction price of pink diamonds above 3.00 carats has appreciated by a whopping 443% since 2003 – a 63% annualized return. In recent years, big ticket pink diamonds previously selling for $500,000 - $600,000 a carat appreciated to the $1 million-a-carat mark. The record price for a pink diamond was paid in 2009, when a vivid pink five-carat diamond was sold for $2.1 million. The retail price of diamonds has a strong correlation to auction prices and although it is only the truly outstanding stones that make their way to auction, the retail sector comprises many by smaller stones that also exhibit excellent investment potential. In fact, these smaller pink diamonds actually have a larger market as people do not have to make such a large financial commitment to purchase these stones. Between the years 2002-2012, the price of a 0.50 carat Fancy Intense Argyle Pink diamond appreciated 375% and a 3.00 carat Fancy Light Pink diamond appreciated 318%. Also, almost as impressive is that this price appreciation occurred in virtually a straight line! The Agra is a cushion-cut, 28.15 carat, Fancy Light Pink with VS2 clarity. It was purchased at auction in 1990 for £4,070,000 and is named after the city of Agra in India, the country from which the stone emanates. The diamond dates from the 15th century and was owned by various Mogul Emperors yet mysteriously found its way to England in the mid-19th century. The vendor who had inherited The Agra in 1927, sold it at Christie's on June 20th, 1990, for £4,070,000 to SIBA Corporation of Hong Kong. The Darya-i-Nur is a table-cut, 186 carat, pale pink. It is considered to be the most celebrated diamond in the Iranian Crown Jewels and one of the oldest known to man, as well as one of the largest diamonds in the world. The name means Sea of Light, and it was plundered from the Mogul Emperor of India by the Persians in 1739. In 1797, it was inherited by Fath Ali Shah who had his name engraved on one side of the diamond. It is currently owned by the Museum of Central Bank of Iran. The Steinmetz Pink is an oval-shape, 59.60 carat (100 carat rough), Fancy Vivid Pink, IF clarity stone. 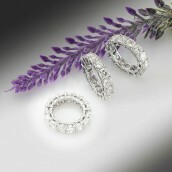 It is believed the stone was discovered in South Africa and is amongst the finest pink diamonds in the world. It took a team of eight people at the Steinmetz Group approximately 20 months to carefully plan and execute the cutting of this gem which comprises a unique facet pattern – a step-cut crown and a brilliant-cut pavilion. It is currently owned by the Steinmetz Group and its value is estimated at $25 million. Pink diamonds have proven to be an excellent investment over the last few decades. With demand remaining strong, market appreciation of the investment attributes of fancy pink diamonds increasing, and declining supply from the Argyle diamond mine, it is highly likely that pink diamonds will remain a standout investment. Read more about diamond investments. 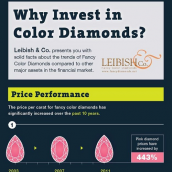 Contact our experts to learn how you can invest in Fancy Color Diamonds.